Home » Blog » Uncategorized » Yiwu tea mountain map. 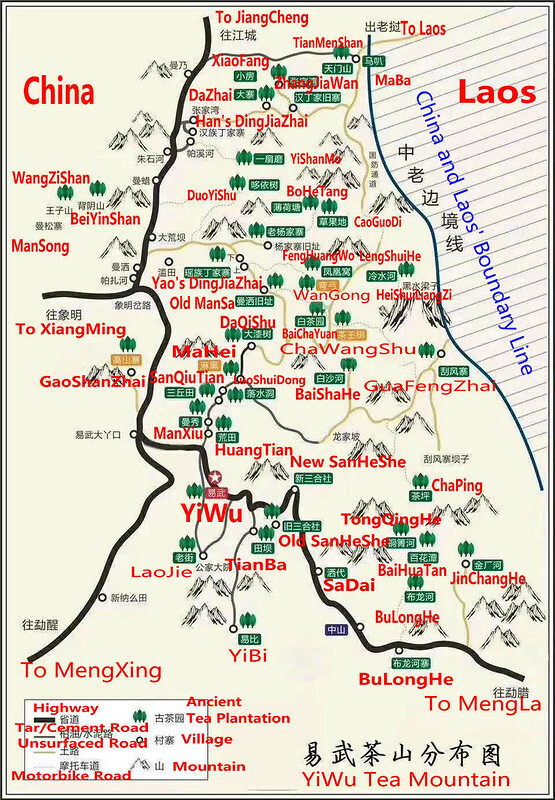 Some famous spots are on the map, like MAN SONG, WANG ZI SHAN, TONG QING HE, MA HEI, WAN GONG, GUA FENG ZHAI, CHA WANG SHU etc. Previous: Just from one ANGLE to see difference on 4 main kinds of white tea from Fujian province.